Nollywood: Did Liz Da Silva Just Confirm That Lola Margret Was Deported? 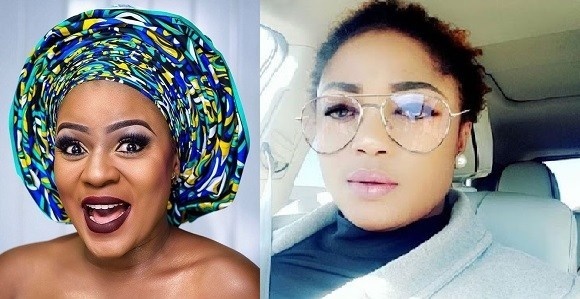 Yoruba actress Liz Da Silva wants Lola Margret to move on with her life. She wrote an emotional letter on Instagram to Lola Margaret asking her to put the past behind her as everyone has a downtime at some point in life. This encouragement became necessary after it was reported that Lola Margaret was alleged deported from the United State of America after being involved in a fraud case. The embattled actress is reported to have maintained a low profile since she returned to the country and is currently taking solitude in Ibadan. Lola Margret was arrested in 2017 weeks after attempting to withdraw suspicious sums from her account. Sources close to the actress allege that even after revealing the identities of the people she was working with on the illegal withdrawals, she was detained and eventually deported to the country.